Kelly Gallagher's four-medal haul from the IPC World Skiing Championships last month has cemented her status as Great Britain's best hope of a first Winter Paralympic gold medal in Sochi. 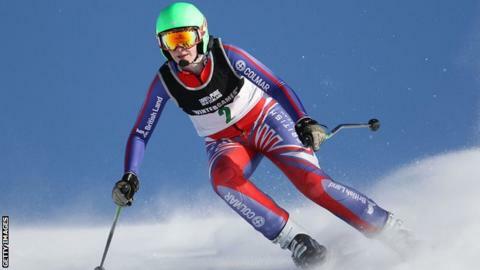 The partially-sighted skier from County Down won silver in the super-G and super-combined disciplines and bronze in downhill and giant slalom. Gallagher won the medals along with her guide Charlotte Evans. Great Britain has never a Winter Paralympic gold medal. The last of their 21 medals was a wheelchair curling silver in 2006 although Gallagher came agonisingly to taking a medal at the 2010 Games in Vancouver which she finished fourth in the giant slalom. "My goal has always been to win a Paralympic gold medal, and all the sacrifices I have made have been with a view to becoming the best I can possibly be," says the 27-year-old Northern Ireland woman. "When I came so close in Vancouver I was really buzzing because I knew my technique was lacking and it motivated me because I realised how good I could be if I really committed." Gallagher's belief was justified when she became the first Briton to win an IPC World Championship medal in 2011, when she teamed up with Evans for the first time to win slalom silver and giant slalom bronze. But Gallagher insists the medals beginning to flow her way pale into insignificance when compared to her desire to provide an inspiration for partially-sighted youngsters to take up and enjoy the sport. "I never dreamed I could be a full-time ski racer and from the start my parents were naturally apprehensive of involving me in any activities that other kids are able to take for granted," she said. "So it would mean such a lot to me if my success could help provide a role model for the parents of some other visually-impaired little girl to see me and think, 'there's no reason why my child shouldn't do this'. "Seeing the ability rather than the disability is the important thing. When Charlotte and I win medals at the World Championships and are up there with the best, our success is making people realise what is possible."